Arbor Day is April 26, and USITT is celebrating the occasion as a day for Rigging Safety Awareness. Rigging Safety is something that we must be concerned with every day. Whether you are an ETCP certified rigger or walking on a stage for the first time, safety in the workplace, rigging safety, in particular, is something that we must all be cognizant of. While Arbor Day is typically a holiday focused on planting trees to celebrate their importance, an “arbor” in the technical theatre world is a rack that contains weights used to balance a load in a counterweight rigging system. So we recognize Arbor Day as a day to celebrate rigging safety and training for everyone in our industry. 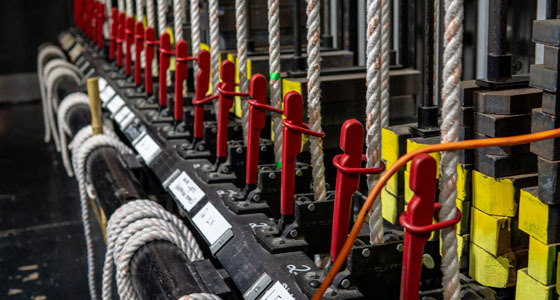 From the school or community theatre to the touring shows and spectacles, rigging safety is taken seriously by everyone in our industry. Use Arbor Day to thank a rigger, to celebrate safe practices, or to promote a renewed commitment to safety. 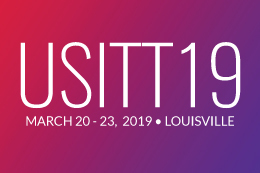 USITT’s Rigging Safety Initiative (RSI) has helped secondary schools get inspections and training that has improved safety for thousands of students and staff. The RSI grants have kick-started annual safety inspections in some schools that had not thought about that aspect of safety and are now aware. It has improved the knowledge of the staff that manages the auditoriums, theatres, and performance spaces when those staff may have never had any training in the past. In short, the RSI Grant program is one way USITT helps to establish a culture of safety for our secondary schools. The RSI is supported by generous donors to the Rigging Safety Fund. One hundred percent of each donation goes to support the inspections offered to our grant recipients. If you want to support Arbor Day with a one-time gift to the RSI, please do. If you want to make a small recurring donation each month that adds up over the year, that is also appreciated. Monies raised supports inspections and training at schools across the country. The bigger the fund, the more schools we can support. We appreciate all our Rigging Safety donors and hope you will take a moment to become one. To donate, click here or take advantage of our text-to-give option by texting Rigsafe to 444-999 to donate to the Rigging Safety Initiative. #RigSafe every day, but join in with USITT and our partners around the world to help celebrate Arbor Day on social media and online. Help us celebrate and promote safety in our industry every day, but especially on April 26. Let the world know you #RigSafe. Rigging Safety Initiative Sponsors: H&H Specialties, ETC, and JR Clancy.